KEY CONCEPT: Covers a range of areas including volume, weight, distance. DESCRIPTION FROM THE PUBLISHER: How many glasses of lemonade would fit in an Olympic-sized swimming pool? 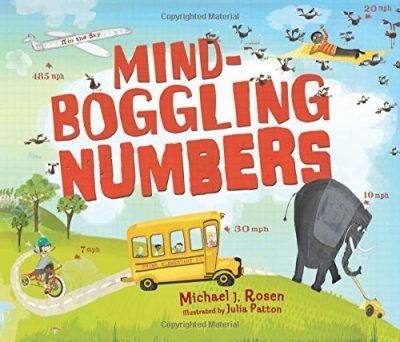 Find the answers to all sorts of mind-boggling math questions in this fun, engaging book.